At Mark , you are the ruler of your career. Mark Engineering is a technology partner of 200+ companies. We strive to implement next generation 3D CAD platform for smart and Knowledge based engineering. We help companies to grow their business through configurable design. The candidate should to be experienced in 3D CAD and design / engineering. The candidate should have engineering aptitude and good communication skills. We will initially train the selected candidate in advanced 3D CAD and CAE. Then the candidate will be involved in implementation and support of 3D CAD implementations. Our product is 3D CAD and add-on softwares for design optimisation and automation. The candidate should to be experienced in field sales of industrial products. We will initially train the selected candidate in 3D CAD and solution selling and using our CRM systems. Then the candidate will start field visits to understand client requirements and business generation. Our product is 3D CAD and add-on softwares for design optimisation and automation. The candidate should to be proficient in Visual studio (VB or c#). The candidate should be comfortable with basic Geometry (Area of triangle/rectangle/circle , perimeter of T/R/C, volume of cylinder/cube, orthographic views, isometric views), basic Algebra (simultaneous equations, matrices, quadratic equations), Physics (forces, mass, density, velocity, acceleration) and logical reasoning (set theory, series). We will initially train the selected candidate in 3D CAD functionality and CAD Application Programmer Interface (API). Then the candidate will be working in our Product development using Visual studio and CAD API. 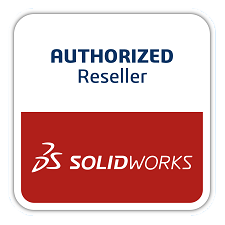 Our product is a geometry configurator add-on to 3D CAD softwares like SolidWorks.